Puppets are the favourite toys for the kids, right from those traditional days. That too, crafting their own Puppets give them that special satisfaction. 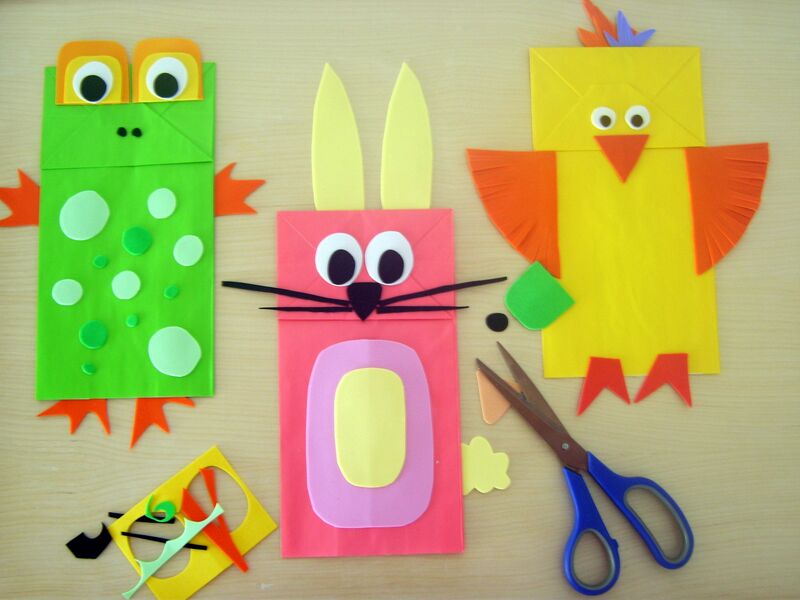 For children who are mad in making disparate crafts all time, these puppet crafts, will be another fantastic option. 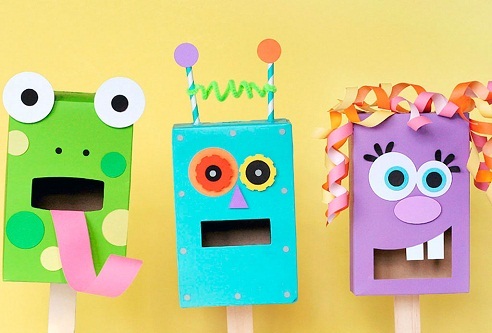 Uncover these best puppet craft ideas hidden in the following links. Let’s find here with mentioned 9 best puppet crafts for preschoolers and kids. 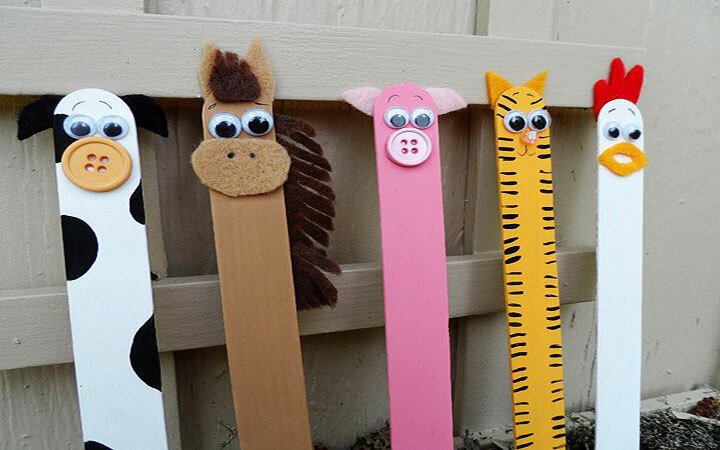 Here are the most simplest yet outstanding animal puppets crafts, which are also very funny it to play with. They are crafted using paper bag as the basic essential item and additionally, colour papers are used for extra fittings of the puppet. Why to put the empty sock pockets to trash? 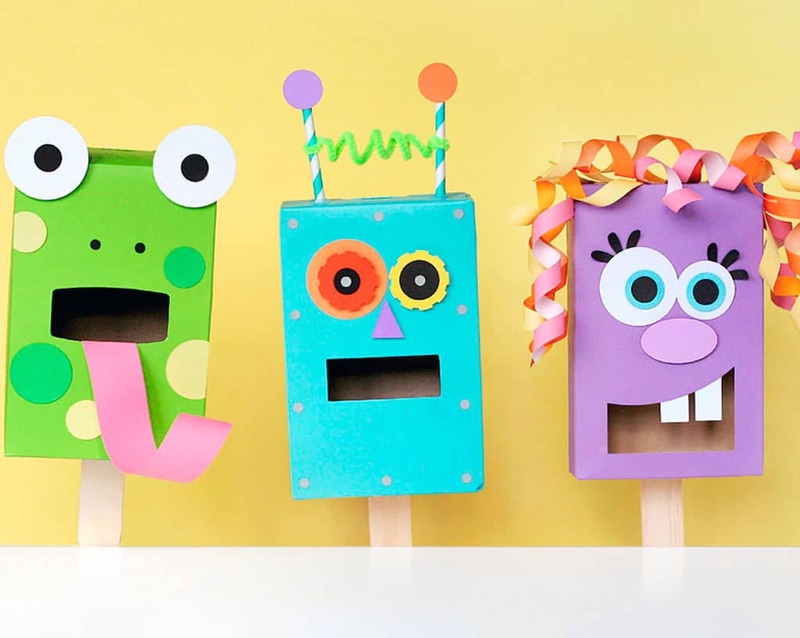 We can ideally make use of it by crafting such type of empty carton box, turn into a delightful puppets. The kids will have fun in making these chuckle some monsters like the one shown here. 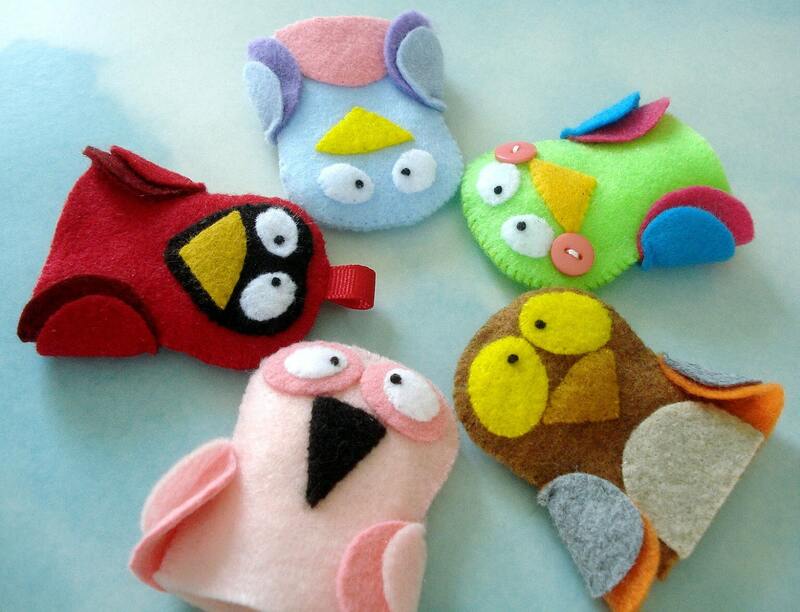 It is also possible to make felt type finger puppets which can show up any type of animals or things. Here, the image shows a bird felt puppet, which is suitably wore in your fingers to play with fun. 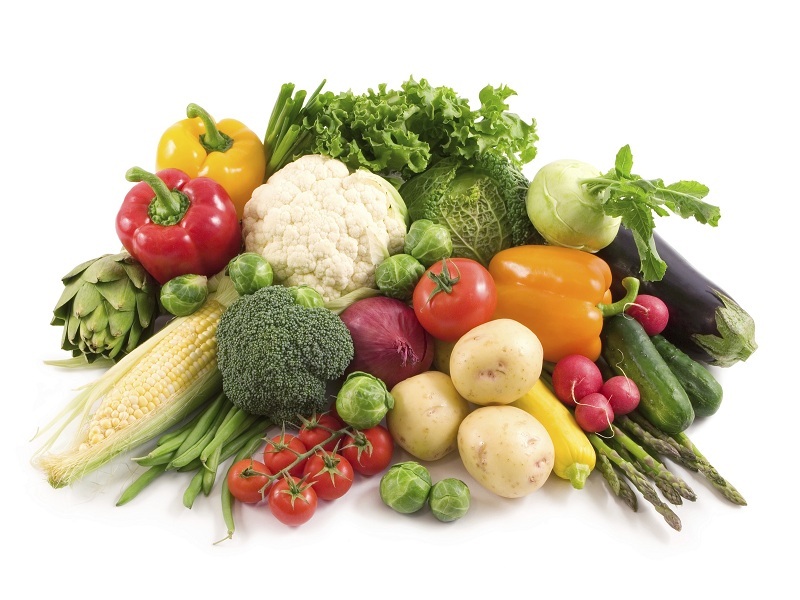 There are also other classes of options including Halloween, farm animals or even vegetables to really exhibit the creativity of kids. 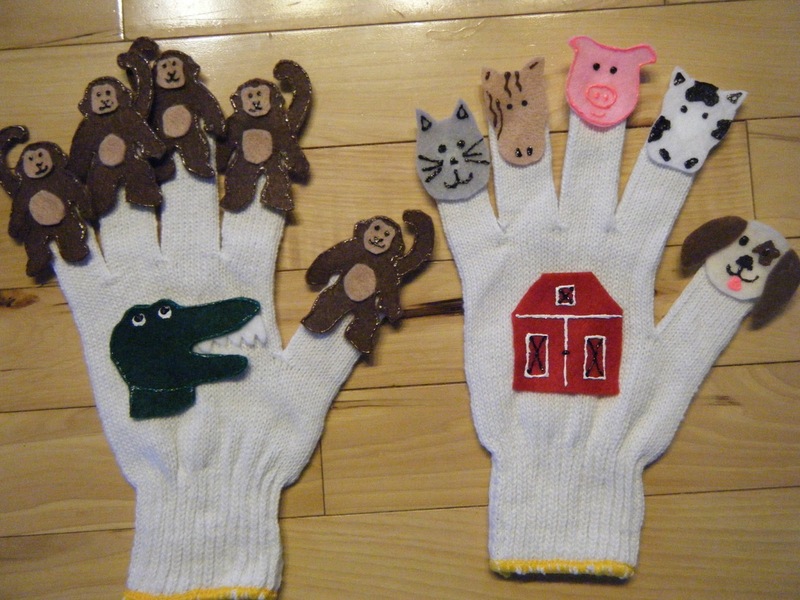 The most acceptable puppet craft for pre-schoolers is unveiled in the image which is of unique vintage. The kids would really make their activities with great enthusiasm, in case they are given such kind of hand puppet craft. These crafts make use of ice cream sticks, to come up with such fantasy. 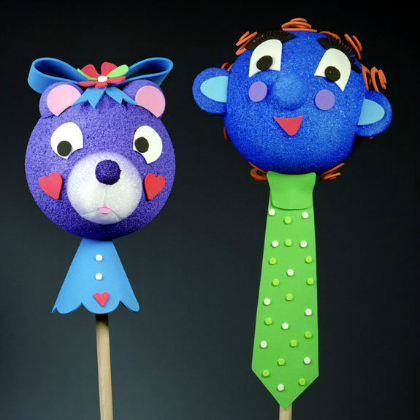 We can also get into the remarkable puppet crafts by choosing this cheaper less cost material of Popsicle sticks. This stuff gives that super fun to the kids in their preschools and toddlers stages too. They would truly become very fond of such crafts. 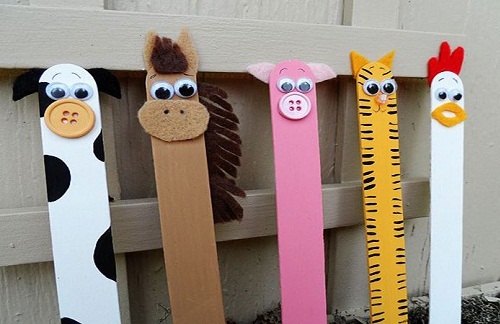 If you are in a hunt of a puppets making crafts for the kids, who are in their early childhood, then can go for selecting these sorts of theme based activities. Here, the typical kids rhyme ‘Old Macdonald’ concept is used. And accordingly, domestic animals are crafted for each finger of the hand gloves. Here comes the favourite of all kids, Bumble bee, on its show. 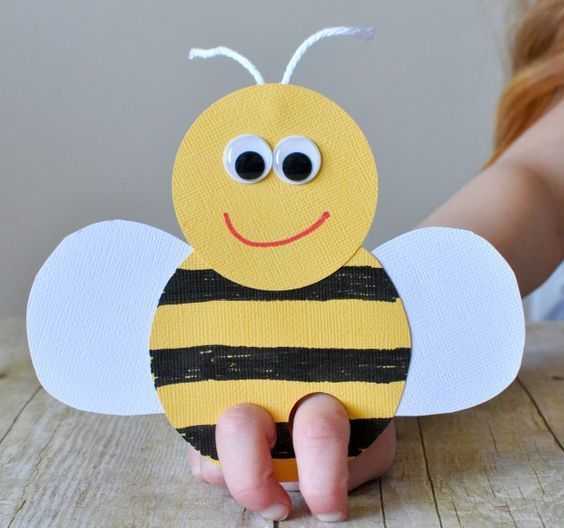 The finger puppet abstract idea is clubbed together with this cute bee craft formation. You can just try this plain sailing puppet craft for kids and innovate with new ideas to furnish its look. This is a bit difficult sort of crafting, in which paper cups are enjoined as shown in the image, to form the body of the dragon. 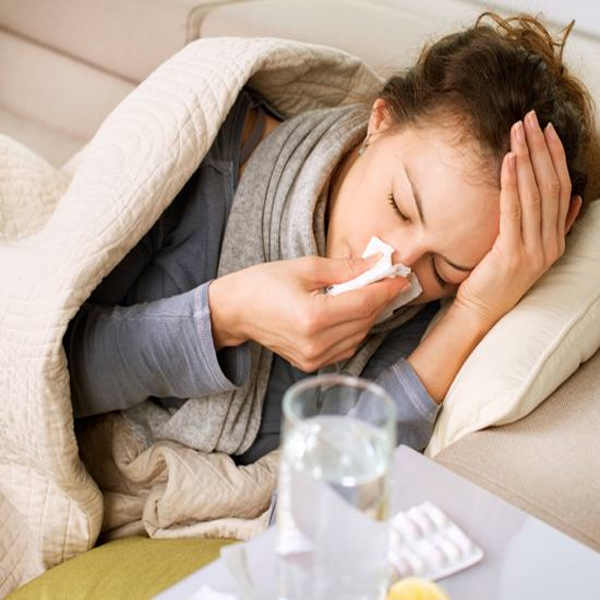 The colour used here is red, and it is solely the individuals’ choice. 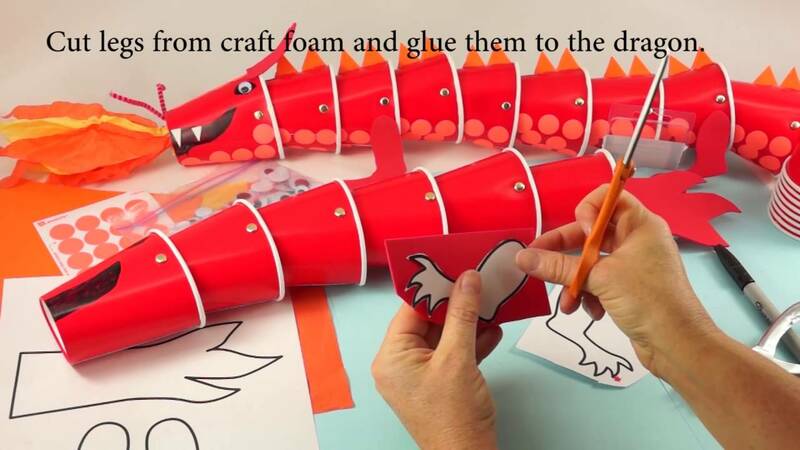 So by taking limited help of an adult, kids can also enjoy themselves in such kind of Dragon puppet craft ideas. Variant of bird species can also be picked to make such kind of funny puppet craft. 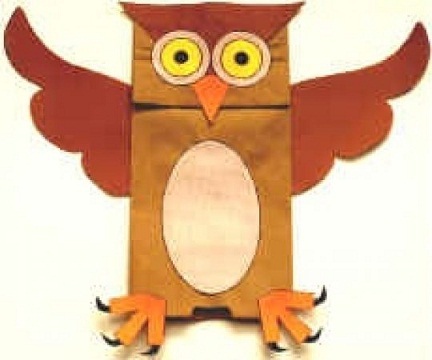 Here, the owl is designed with one’s own imagination to make it as a crazy and demented owl puppet craft. The common material called paper bags are only used here. 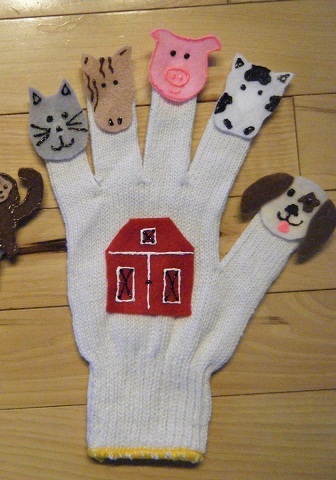 You can try making such puppet craft each day in your home, making it a new one, every day with excitement. Also the kids would have a good time for learning, when these fun learning concepts of making crafts are involved.